Apple has finally addressed and issued a fix for Error 53, a "safety" mechanism that would prevent your iPhone from booting if you had certain repairs done outside of Apple's official channels. Essentially, if you had a repair done to fix a broken Touch ID on your iPhone 6, 6 Plus, 6S, or 6S Plus, or a screen fix that required disconnecting Touch ID, your iPhone was effectively bricked unless you had Apple or an Apple certified repair technician do the repair. "When iOS finds an unidentified or unexpected Touch ID module, the check fails. For example, an unauthorized or faulty screen replacement could cause the check to fail," according to Apple. 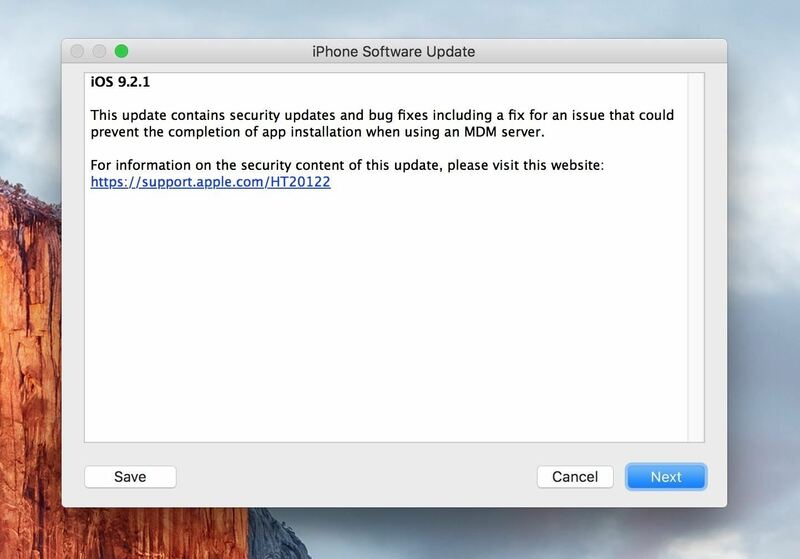 Now, Apple has released a new version of iOS 9.2.1 that will get your iPhone working again, and it's fairly simple to do on either a Mac or Windows PC. If you're already running iOS 9.2.1 and expect you might need a repair soon, it's best if you update as well—just in case (you never know what could happen). Once you have the iTunes updated (or installed), exit iTunes and make sure your iPhone is unplugged from your computer. If you're doing this as a preventive measure, you should get a popup in iTunes telling you to update to the newest 9.2.1 version of iOS. If you're phone was bricked, you may also get this message. If so, select "Download and Update" and wait for it to finish. If you didn't get the popup, make sure your iPhone is selected in iTunes, then you'll see options to either "Update" or "Restore iPhone." 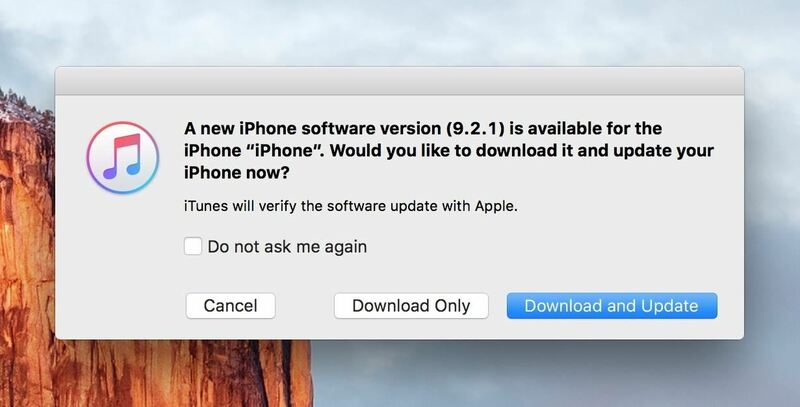 Select "Restore iPhone," and iTunes will automatically download and install the newest iOS version 9.2.1 on your device. That's it! 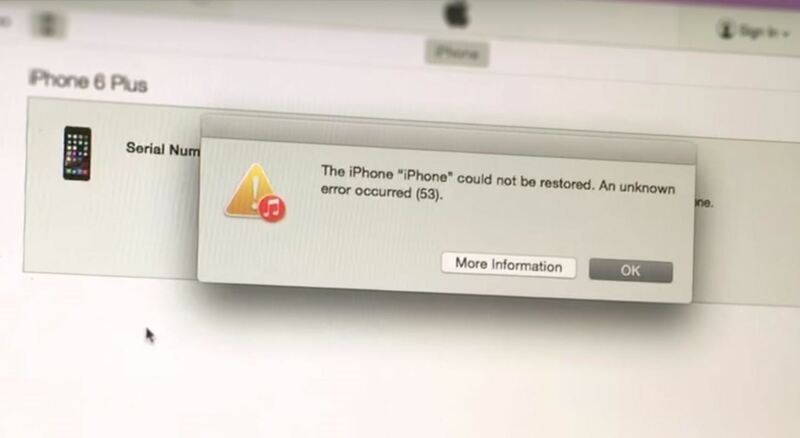 Your iPhone will boot up to the "Hello" screen (if you restored), and you'll have the option to restore a backup if you have one. Props to Apple for getting a fix in fairly quickly.